Apple's iPhone 5c delivers a colorful new option in an improved, mid-level iPhone intended to compete against $99, subsidized Android phones. iPhone 5c makes some noteworthy enhancements to Apple's formerly bestselling iPhone 5, which over the last year has been both the world's top selling iPhone and top selling smartphone: a slightly enhanced front facing camera, a bit larger battery, new radio baseband components providing broader LTE carrier coverage and a new scuff-resistant, polished plastic case available in a series of vibrant colors. It's not a major feature update to iPhone 5 in the sense that the premium iPhone 5s is; instead, it's a repackaging designed to deliver the features of the original 5 at a lower cost, providing a compelling alternative to phones such as the HTC One X, Google's Moto X, Samsung's Galaxy S4 and Nokia's Lumia 1020, all of which use similar 32-bit processors, with less impressive battery life and a far more limited selection of high quality or exclusive first and third party apps. 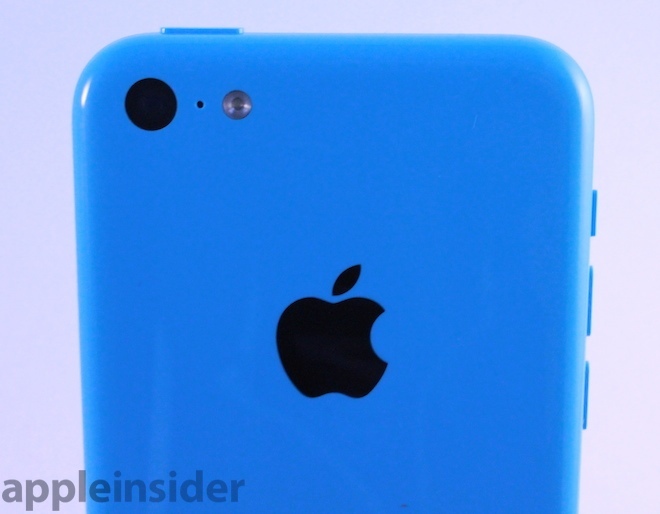 A primary selling point of iPhone 5c is that, like the iPod touch, it comes in a variety of colors. Unlike the iPod, it's built using an innovative new process that forms a single, seamless plastic back with an integrated metal framework. The back is then lacquer coated and polished to glossy, ceramic-like finish, as Apple demonstrated in launch video. The result is a device that doesn't feel "plasticy" like the iPhone 3G did or as most competing Android phones do. It also feels less delicately precious as iPhone 5 and the new 5s. Rather than sporting gleaming chamfered edges, the 5c has a simple, seamless, solid feel that you might feel more comfortable using without a protective case. 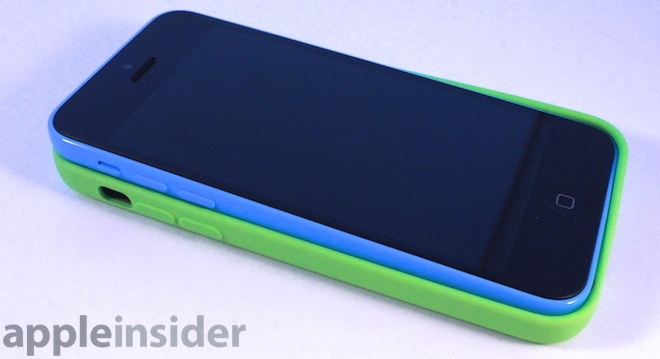 The new build gives iPhone 5c a slightly thicker body. It doesn't feel thick, but its just enough larger that it its cases aren't really interchangeable with the original 5 or 5s. The new leather cases Apple debuted are slightly too snug for the 5c's volume buttons to work, while conversely the 5c's new silicon case feels a bit loose wrapped around the 5 or 5s. 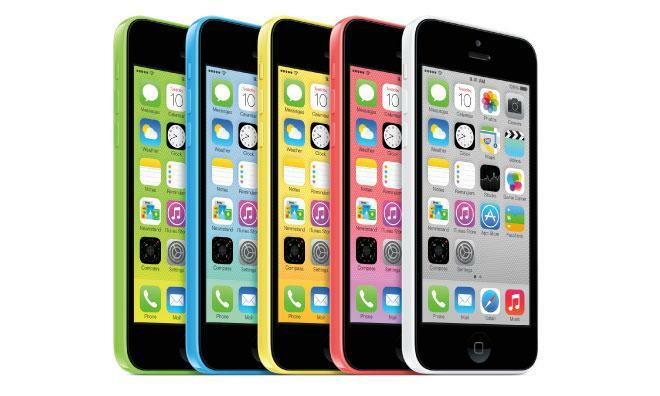 The iPhone 5c comes in white or a series of bright colors: pink, yellow, blue or green. The case colors match the palette of iOS 7 (highlighted in the video below), and Apple even sets a default gradient-pattered background that matches your case color. You'll likely want to change that right away because the grid pattern exaggerates motion parallax in a way that is not very pleasing, unlike the at least interesting universe of stars on the default background set for iPhone 5s. The default background image color is however reflected through iOS 7's translucent panels, helping further blur the line between hardware and software. 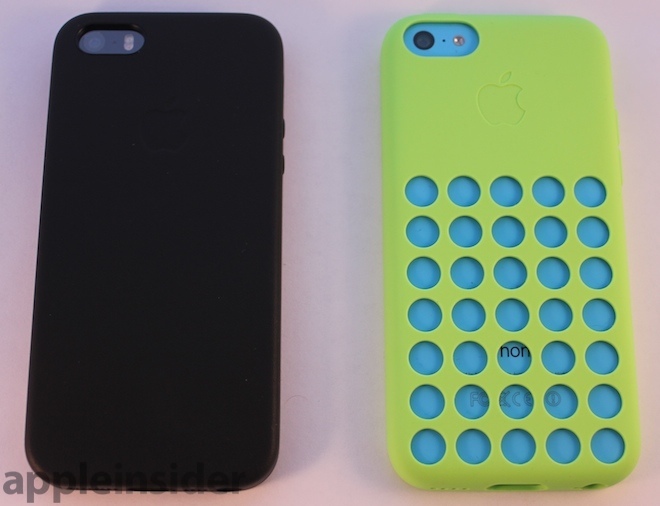 The mix and match colors Apple offers in its silicon cases for the 5c are designed to enable users to personalize or accessorize their phone as they like, a primary selling point borrowed from the iPod family. The new colored iPhone strategy is also a big jump away from Apple's typical affinity for selling as few SKUs as possible; the company jumped from two color choices across its iPhone family to eight: five for the 5c and three more for the 5s. Managing inventory across different colors is a talent Apple practiced with the iPod touch rollout last year, and across the simpler iPod nano and shuffle models over previous years. Developing two entirely different new iPhone models this year may likely be in itself an experiment in building out more variety among its iPhone offerings, experience the company will need when it decides to begin offering a wider range of device sizes. 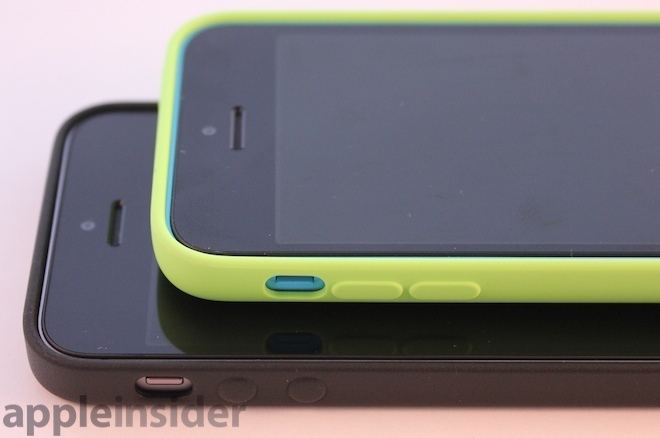 Outfitted in one of the new silicon cases, iPhone 5c feels bigger and right on the border of childlike. It also feels even less fragile, as if it could survive some rough treatment. There's not much protection for the screen however, although the rubbery case does provide a raised lip around the glass front that should help prevent cracks from drops. The leather cases for the 5 and 5s have a much more serious feel to them, more like an attache case or the upholstery in luxury car. It's too bad the two devices are just different enough in size so that you can't interchange them in order to span from playful to dressy. There are, of course, a wide variety of third party case offerings available. Flip the iPhone 5c around and its screen, Home button and interface provide an experience identical to iPhone 5, and very similar to the nicer 5s, which has a much faster A7 chip that's only really noticeable when using specialized apps and with the camera. The other primary difference is Touch ID, meaning that 5c buyers will have to type in a security code to unlock or make purchases, like an animal. Over the last year, iPhone 5 rapidly became not only the most popular smartphone, but also the most popular camera, according to statistics from Flickr. Apple has rapidly improved the iPhone's camera since the release of iPhone 4, adding higher quality sensors, lens improvements and increasingly sophisticated image and video processing, including face detection and movement stabilization. 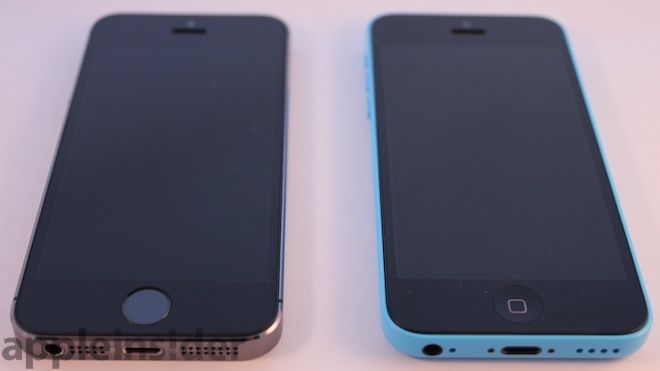 This year, both the iPhone 5c and 5s get a minor improvement to their lower quality, front-facing FaceTime camera in the form of backside illumination, which uses precision manufacturing techniques to build an image sensor where the wires serving the photosensitive imaging elements are placed behind them, maximizing the amount of light that can be detected. 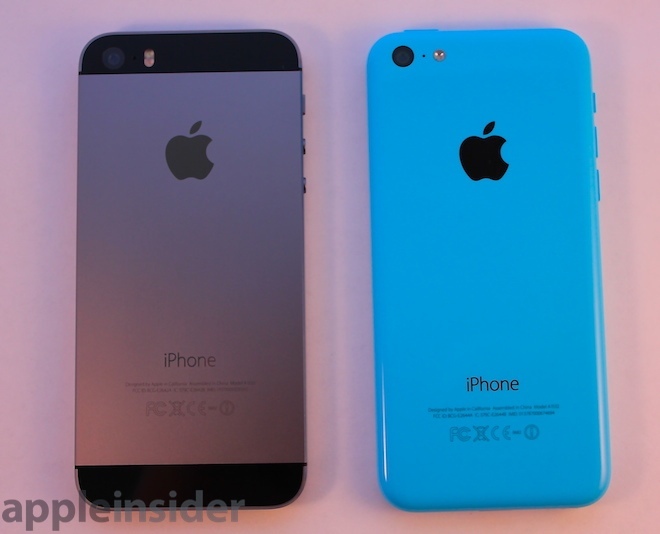 iPhone 5c also gets a larger battery, weighing in at 5.73 Watt hours. At 3.8 Volts, that appears to offer 1507 milliamp hours, compared to the previous iPhone 5 battery which was 5.45 Wh or 1440 mAh. Many competing smartphones in its class have larger batteries, but inferior battery life. Nobody else yet makes a 64-bit smartphone, so Apple's primary competition in the market for profitable smartphones are those with a price and specifications similar to the iPhone 5c. Apple also sells the substantially less attractive iPhone 4S at a lower price point to compete with cheaper phones. However, that price point represents the tail end of iPhone sales volumes, at less than 10 percent. 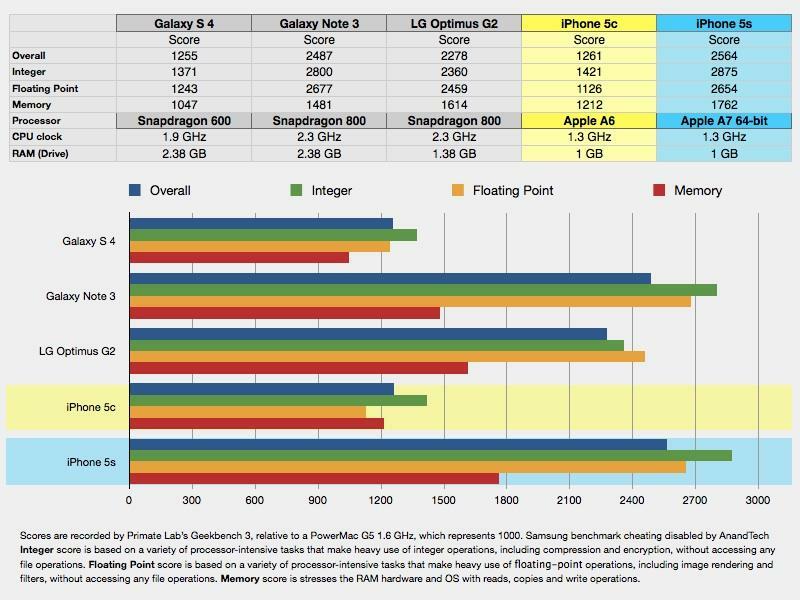 Samsung's Galaxy S4 delivers similar performance benchmarks to iPhone 5c, despite being clocked higher and having more RAM. And unlike various higher-end Android or Windows Phone models, Apple's 5c runs all of the apps and games designed for iOS, including the free Pages, Numbers and Keynote and iPhoto, iMovie and GarageBand that Apple now throws in for free. iPhone 5c, along with the 5s, also expand their LTE capabilities to serve more bands around the world than any other smartphone. The original iPhone started out as one of the last premium smartphones still stuck in the pre-3G world of AT&T's GSM/EDGE. Over time, Apple's phone gained support for 3G and then increasingly faster versions of 3GPP 3G standards, from 7.2 Mbps HSDPA (downloads) on iPhone 3GS to 5.8 Mbps HSUPA (uploads) on iPhone 4 and 14.4 Mbps HSDPA on iPhone 4S. 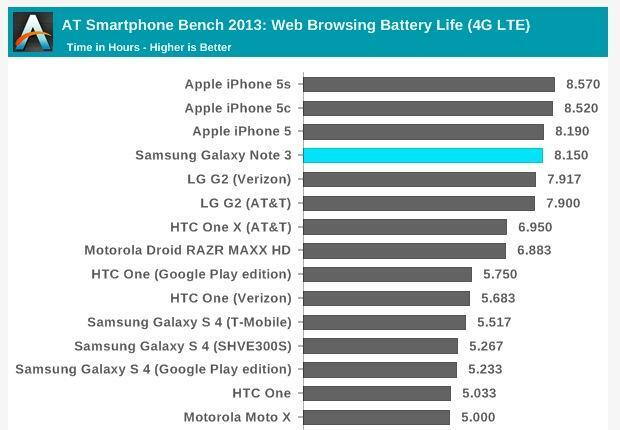 Last year's iPhone 5 added the first support for 4G LTE networks as well as DC-HSDPA (with downloads up to 42Mbps, it's at least as fast as most carriers' 4G LTE service). This year, the iPhone 5c (and the new iPhone 5s) both use the same Qualcomm MDM9615M Baseband Processor but it's paired with a new WRT1605L receiver, allowing it to work with more networks over new LTE bands and China's TDD-LTE variant used in that country and in Australia, the Middle East and some other places. Both new models have identical carrier support, shifting from iPhone 5's three hardware models to four versions of the iPhone 5c (A1532 North American GSM/CDMA for AT&T, T-Mobile & Verizon; A1456 Sprint/Japan CDMA with additional support for LTE bands 18 & 26; A1407 for Europe lacking LTE bands 4/AWS, 13, 17, 18, 19, 26 but adding 7; A1529 for Asia/Pacific, identical to Europe but adding support for China Mobile's TD-LTE bands 38, 39 and 40, also used in Australia). Apple also has its own high quality VoIP technology: Audio FaceTime, although again, carriers have been slow to support this over their 3G/4G networks. This largely restricts its use over WiFi. When you have a WiFi connection, you may be amazed at how much better a FaceTime call is in both quality and reliability. You can also use FaceTime to connect to Macs, iPads and an iPod touch, and of course connect via a video FaceTime call as well. iPhone 5c is "only" $100 cheaper than the fancier iPhone 5s, which has more impressive CPU specs, a significantly improved camera and Touch ID. 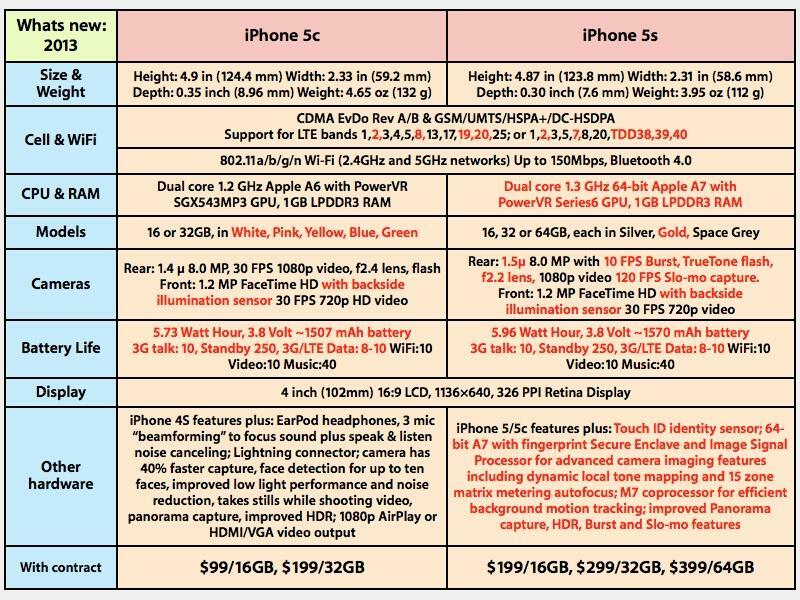 For anyone clamoring for the latest and greatest, that makes the 5s a no brainer. For a large number of buyers, particularly those upgrading from an iPhone 4S or older model, the 5c is a substantial upgrade. If you're outfitting a couple kids with smartphones, the 5c is not only less expensive but may be more appealing due to its more rugged back and the fact that it comes in fun colors. If you're trying to choose between the two, you probably should get the 5s, which will likely have a longer lifespan due to its leap in processor performance. If you don't plan to keep it for three years, you can at least be reasonably assured that it will likely be worth more when you do go to sell it, and along the way you get more convenient security, better photos and the ability to work with more sophisticated apps and games. On the other hand, if you're looking to pay less up front iPhone 5c offers a less expensive route to owning an iPhone 5-class phone, particularly with retail incentives that are currently knocking even more off its $99 base price. It's a much better phone than the slightly cheaper/free 4S, which lacks its larger screen, has a significantly older camera and still uses the more fragile older Dock connector. Those upgrading to iPhone 5c can also check out AppleInsider's Trade-in Price Guide or recent breakdown of trade-in offers for previous-generation iPhones. 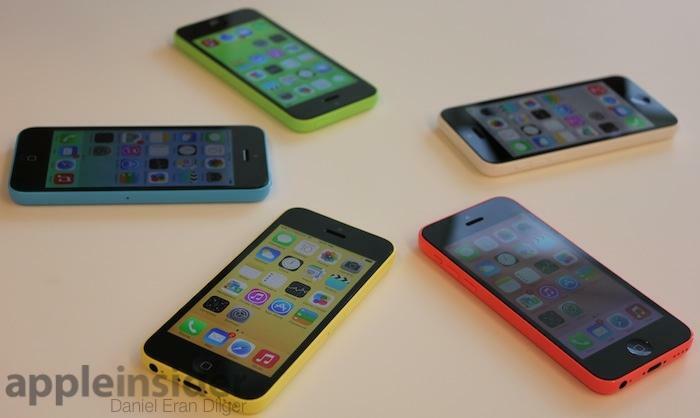 A number of online providers offer cash in return for a used iPhone 3GS, iPhone 4, iPhone 4S or iPhone 5, making the cost of the new iPhone 5c easier to afford.